Many of us are keeping our teeth for longer and hence are complaining that our teeth appear to be worn. This is a normal process throughout life but can impact on how our teeth look, feel and function. 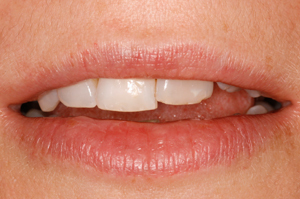 Below is an example of a lady who chipped and wore her two front teeth – Mark restored the teeth with cosmetic bonded fillings. certain medications – those that are acidic e.g. 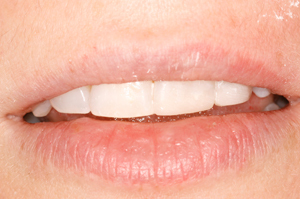 Vitamin C tablets or those that reduce the flow of saliva and cause a dry mouth e.g. certain antidepressants.